John Sculley will take part in a TNW Answers session soon. If you’ve got a burning question for the former Apple CEO, you ask it here. Ten years as Apple’s CEO left John Sculley with an insatiable appetite for tackling big problems. Now, the septuagenarian tech icon is the head of RXAdvance, which he describes as “the most exciting company I’ve worked at since Apple.” Its goal is to reform the broken American healthcare industry, using technology. To understand RXAdvance, you must first understand the American healthcare industry, which is as dysfunctional as a system could possibly get. Americans pay more for healthcare than citizens of any other industrialized nation. They also get less for their money; there’s no inherent right to healthcare. And half of the $3.4 trillion spending is borne by 5-percent of patients with chronic conditions who take as many as 15 pills daily, and are managed by nine different healthcare providers. This introduces a huge amount of waste. When a healthcare regimen is complicated, there’s a greater chance of non-adherence. There’s also a chance that two different physicians may prescribe drugs that come with adverse interactions, resulting in additional healthcare costs. The last bit is crucial. According to Sculley, over $350 billion is spent each year on avoidable drug-impacted medical costs. And it’s money that can be easily saved simply by being a little smarter. “We want to change the way we deliver healthcare to the most expensive patients in the healthcare system, and that’s the chronically ill,” Sculley told me over the phone earlier this week. RXAdvance is a data-driven cloud service, available to healthcare providers, which attempts to reduce costs without reducing care. It uses analytics and automation to help patients adhere to healthcare regimens, while removing inefficiencies from the procurement system. It aims to use technology to give patients a better quality of life, while moving the point-of-care from the hospital to the home. Ultimately, this means lower costs, and better health outcomes. “RXadvance traces back to something I learned very early on when I joined Apple from Bill Gates and Steve Jobs when we were sitting around the Mac engineering lab one night,” Sculley explained. 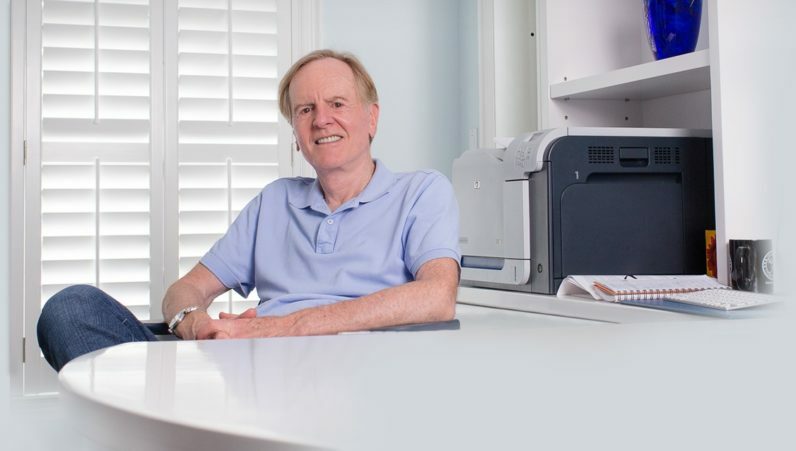 John Sculley first got involved in healthcare ten years ago, because he saw changing the broken American system as his noble cause. He also sees it as a particularly urgent cause, saying that there’s no way the US can have a sustainable and affordable healthcare system while costs continue to soar. As a business, Sculley is optimistic about RXAdvance’s chances. It’s addressing the $850 billion prescription market in the United States, with a goal to remove the $350 billion of inefficiencies. Last year, it earned $55 million in revenue, and expects to reach $1 billion next year. By 2020, that figure is projected to reach $10 billion. But above all, Sculley believes that his company — and disruptive health-tech companies like it — can help lower costs. It doesn’t tackle the hugely partisan issue of how healthcare is paid for, but rather addresses how the system works. A major step to realizing this will be shifting the policy debate from payment to processes, and inspiring technologists to tackle the complicated and highly-regulated healthcare field. To this aim, Sculley hopes that RXAdvance will be a role model to other companies aiming to reduce costs in the system. Lower costs means cheaper insurance. And when asked if he thinks that he’ll see universal healthcare in his lifetime, Sculley responded in the affirmative, although he admitted he doesn’t know if it will be insurance-based, or use a single-payer model.